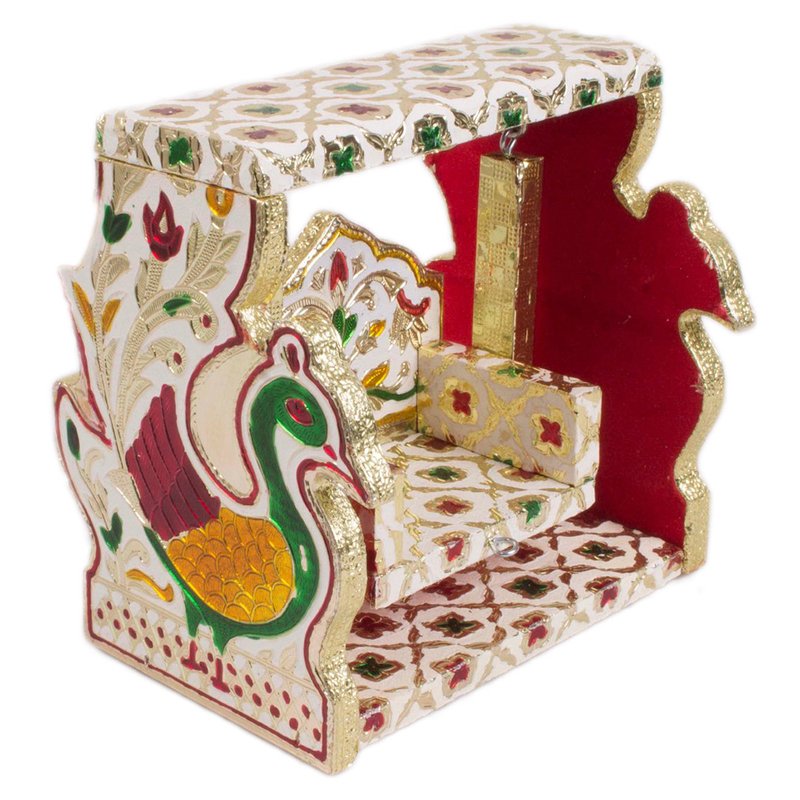 Buy this product & decorate your house by using it as showpiece or for home temple. The rich meenakari work all over the body truly makes it gorgeous that will keep your eyes wide open. This product is exceptionally decorative & breathtakingly gorgeous. Made from high quality wood & incised by rich meenakari work all over the body, this product Read More..speaks about the enrich Rajasthani tradition & culture. 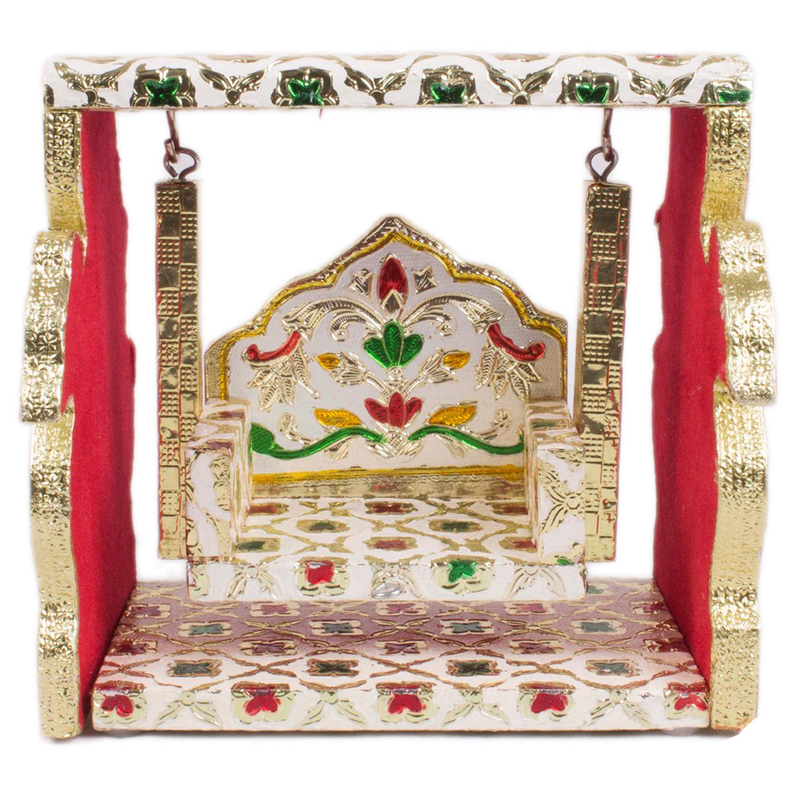 This Swing is specially designed for Janmashtami or Gopal Festival & also can be considered as gift item or showpiece for your house or car. Main base frame of the swing is very durable & sturdy & the “swing” platform is hanged from the base by using high quality hooks. The main meenakari pattern on the white background creates aesthetic contrast & overall looks extremely serene & sumptuous. Show Less..